An exciting new way to expand your kitchen’s storage capability! 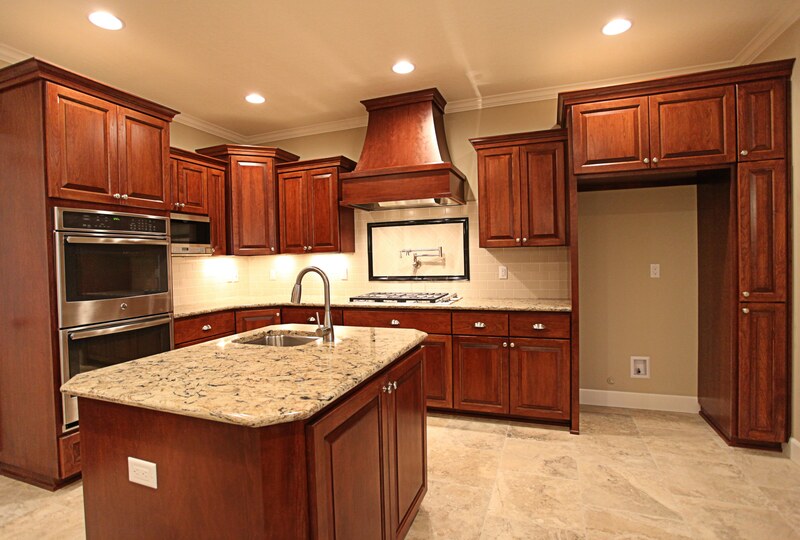 There is no set rule, upper cabinets aren’t made in any one specific height or width, even the depth can vary. 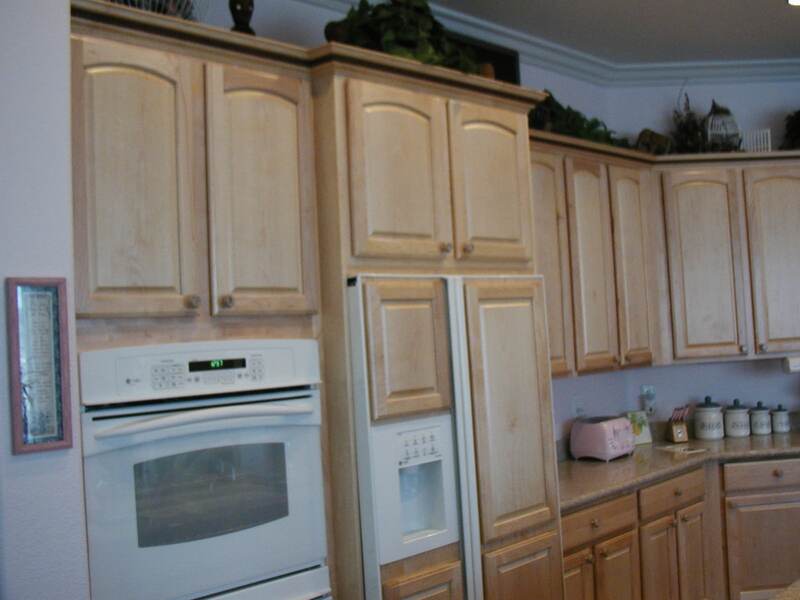 It is true that generally upper cabinets tend to be shallower than lower ones. Especially for homeowners that absolutely need as much storage space as possible, the new innovation of counter depth upper cabinets comes as a welcome development. In fact, there are a number of reasons for anyone to go with deep upper cabinets. Until now, upper and lower kitchen cabinets have always been quite different. Their depths are certainly never identical. In fact lower cabinets are usually two feet deep, covered by a countertop that is longer only by an inch. Presumably designed to stay out of the way and create an uninhibited work space, upper cabinets therefore were made with a usual depth of only twelve to fifteen inches. 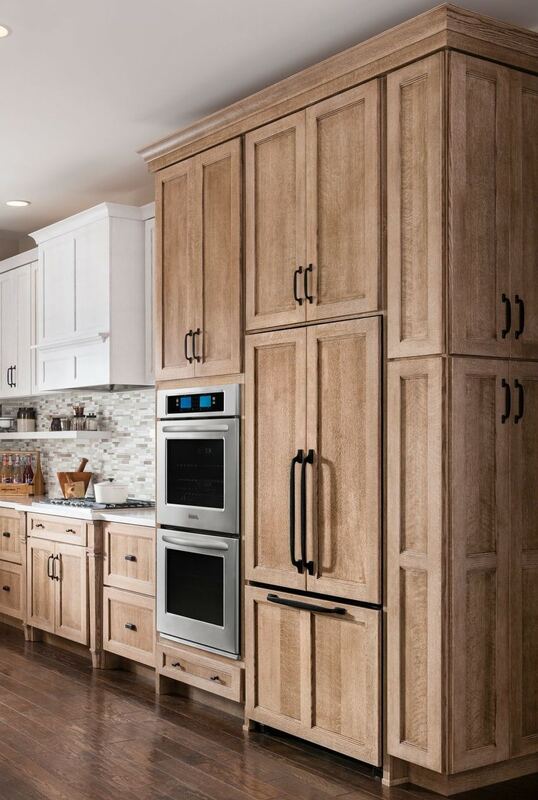 Now however, and with most cabinet lines, you can use the same counter depth on your upper cabinets Also known as “full depth” these modified upper cabinets can serve a new variety of functions, most obviously as a newly enhanced storage space. There’s certainly no question – in an average kitchen every inch of space matters. When you consider that full depth uppers add about ten inches more to their storage, the potential is great. Often the upper cabinets can be placed high enough to be completely unobtrusive. Meanwhile everything you need is easily accessible via the standard depth lower cabinets immediately within reach. If you are fortunate enough to have a kitchen island that serves as a primary work space, then counter depth uppers are particularly fitting. They can primarily serve the sole purpose as storage bins. On shorter walls, the deep uppers can be set far enough from the counter to create a perfect nook space that can be used to house small appliances or countertop items. This leaves the adjoining sides free to host functional chores such as prepping and cooking. While it is true that this innovation is best suited to modern kitchens; the concept can be successfully implemented into traditional kitchens and transitional spaces too. Certain aesthetics need to be modified however to reduce the overbearing appearance that the deeper upper cabinets will have in these specific kitchen styles. A primary use of white helps a kitchen have a more seamless and open atmosphere, particularly when the cabinets as well are white. They can blend with a white ceiling and take attention away from the unusually large cabinets. This serves to create a light and airy appearance. Another way to draw attention away from the potentially dominant upper cabinets is to use bright under cabinet lighting. Without a doubt they will make the counter space and area above and around it larger. The focal point is therefore lower, as set by the lights, drawing attention downward. Similarly, glass doors tend to successful make the area feel open as opposed to closed in. Plus, since you’ll likely be storing your larger functional items in the deeper cabinets, a few short glass door cabinets of standard size are the perfect place to display and store attractive cups, bowls and mugs, and it looks quite elegant. They create balance and that’s what it’s all about when dealing with such unusual extremes in a single kitchen design. 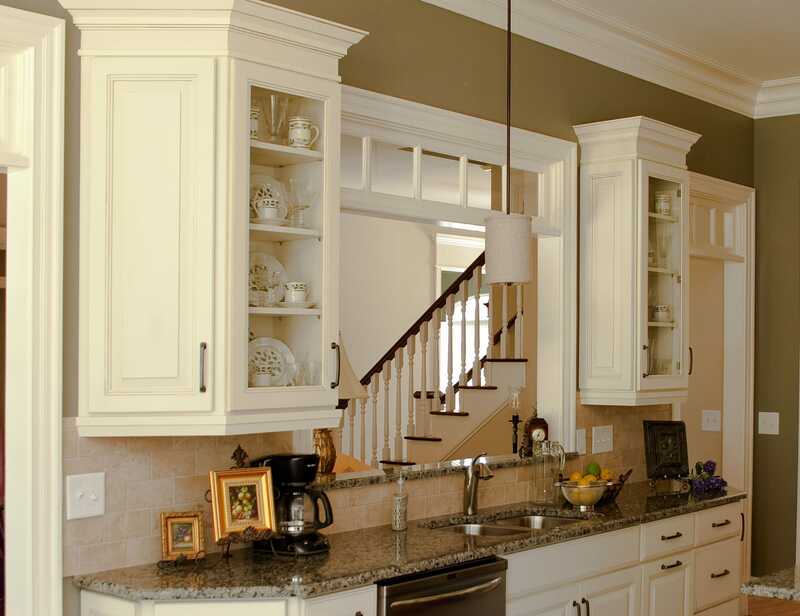 Meanwhile, the use of some open shelves will also serve to offset any perceived dominance of the deep upper cabinets. With open shelves below them, it blasts the space wide open, visually. They are perfect for displaying and holding items you need often. Basic things, like salt and pepper shakers, certain cooking supplies and glassware. There are so many ways to make counter depth cabinets work. You may even think of some creative innovations yourself. The key is to maintain a visual balance. A kitchen equipped with them can look marvelous, and they extra amount of storage they provide is invaluable.